The government is defending as "fair and adequate" its $75 million settlement with Citigroup Inc. over charges it misled investors about billions in potential losses from subprime mortgages. The Securities and Exchange Commission made its case in a filing Wednesday to a federal judge, who said last month she was "baffled" by the proposed settlement and wasn't ready to approve it without more information. The SEC said the $75 million penalty is "fair, adequate, reasonable and in the public interest." The SEC announced the settlement of unintentional civil fraud charges in late July. The agency had accused the third-largest U.S. bank of repeatedly making misleading statements in calls with analysts and regulatory filings about the extent of its holdings tied to high-risk mortgages. Citigroup had said the exposure was $13 billion or less; the SEC said it exceeded $50 billion. 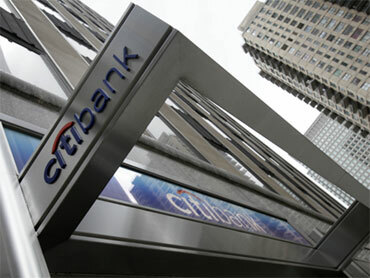 New York-based Citigroup was one of the hardest-hit banks during the financial crisis and received $45 billion from the $700 billion financial bailout among the largest of the government rescues. The bank repaid $20 billion of the bailout in December. The other $25 billion was converted to a government ownership stake in the company, which the government has said it will sell by the end of this year. When the housing bust hit in 2007 and borrowers defaulted, Citigroup's losses reached tens of billions of dollars on complex instruments linked to mortgages, pushing the bank to the financial brink. In a hearing last month, U.S. District Court Judge Ellen Segal Huvelle asked SEC attorneys why the bank's shareholders should be punished for the alleged misdeeds of Citigroup executives. The agency also settled charges with former Chief Financial Officer Gary Crittenden, who agreed to pay a $100,000 civil penalty, and the former head of investor relations, Arthur Tildesley Jr., who agreed to pay $80,000. Tildesley now is the head of cross marketing at Citigroup. "I look at this and say, 'Why would I find this fair and reasonable?'" Huvelle said at the hearing. "You expect the court to rubber-stamp, but we can't." The SEC said in its filing that the proposed $75 million fine also fully conforms with the agency's guidance for corporate penalties. It was based on an economic analysis of Citigroup's estimated gain through inflated prices for the securities and other factors, the agency said. It said the proposed penalty "achieves a fair balance (of) providing compensation to injured shareholders without unfairly burdening current shareholders" of Citigroup. The $75 million represents less than 0.3 percent of Citigroup's $22.07 billion in revenue in the second quarter of this year, the SEC noted. It "should not cause an undue negative financial impact on the company's business, or significant harm to current Citigroup shareholders," the agency said. Other factors taken into account were the need to deter the alleged violation, remedial steps taken by Citigroup, and the bank's cooperation with the SEC investigation, the agency said. The SEC said it carefully considered whether other Citigroup executives also should be charged, and determined that such charges "were not warranted based on the investigative record." "No other individuals were tied to the misleading disclosures more closely than Messrs. Crittenden and Tildesley," it said. Huvelle's questioning of the Citigroup settlement was the second major legal challenge to the SEC recently. Last year, a federal judge in New York rejected a proposed $33 million settlement between the SEC and Bank of America Corp. to resolve civil charges accusing the bank of misleading shareholders when it acquired Merrill Lynch in early 2009. The judge reluctantly approved an amended $150 million settlement in February, shortly before the case had been scheduled to go to trial.